Actor and comedian Ricky Harris has died, The Hollywood Reporter was told by his manager, Cindy Ambers. He was 54. Harris, whose numerous credits in television and on film include Heat, Poetic Justice and Everyone Hates Chris, died Monday of a heart attack, Ambers said. Harris also worked with Snoop Dogg on his rap albums. Snoop, Ice Cube and Chuck D, among many others, paid their respects on social media. Unbelievable. The year that never ends. "A long time ago … I realized that I loved to sing, dance, and make people laugh,” Debbie Reynolds said in 2002. “The trick is finding something that you like and sticking with it.” The Oscar-nominated star from Hollywood’s Golden Age stuck with what she loved for more than 60 years, until her death Wednesday evening at the age of 84. Born Mary Frances Reynolds in 1932, she got her first break at 16, when Warner Bros. signed the newly crowned Miss Burbank as a contract player and gave her the stage name “Debbie.” The bubbly, wholesome actress quickly became America’s Sweetheart, appearing in Singin’ in the Rain (1952) and marrying pop idol Eddie Fisher, with whom she had two children. Fisher left Reynolds for Elizabeth Taylor in 1958, setting in motion a messy divorce and public relations scandal that Carrie Fisher would later liken to the Aniston-Pitt-Jolie saga of the 21st century. Reynolds was the Jennifer Aniston in the scenario, the apple-cheeked All-American Girl wronged by love. Reynolds earned her first and only Oscar nomination in 1964 for the musical comedy The Unsinkable Molly Brown and went on to star in her own short-lived NBC sitcom, The Debbie Reynolds Show. Throughout the 1970s and ’80s, she worked primarily on the stage — in 1974, she earned a Best Actress Tony nomination for the musical revival Irene — but returned to top form on the big screen in 1996 when Albert Brooks cast her as the acerbic title character in Mother, a role that earned her a Golden Globe nomination. In 2000, she won an Emmy for her recurring role as Debra Messing’s feisty mom on NBC’s Will and Grace. Link - I think she should - fits right in with the female heroism trending. It’s no secret that Carrie Fisher passed away in the final days of 2016, but the iconic character that made her famous may soon live on alongside Snow White, Cinderella and Mulan. Fans of Star Wars and Princess Leia, the strong female warrior Carrie brought to the screen, are lobbying Disney to grant Leia official Disney princess status. Disney now has the rights to the Star Wars franchise after it acquired Lucasfilm in 2012. A petition on Change.org has triggered the motion to place Leia next to Disney’s princesses, including Ariel, Pocahontas, Sleeping Beauty and Belle. 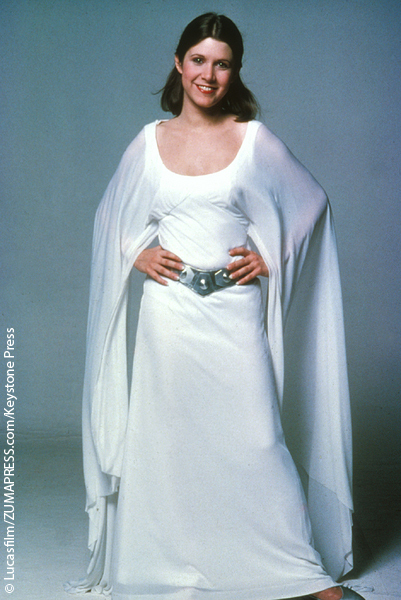 If honored, Leia would become the first live-action character in Disney’s line of official princesses. Currently, there are over 57,000 signatures on the petition. Check out full the petition for yourself here. If you don’t recall, Carrie suffered a severe heart attack on Dec. 23 that led to her death on Dec. 27. Should Princess Leia become one of Disney's official princesses? TV icon Mary Tyler Moore died on Wednesday after being hospitalized in Connecticut, her rep confirmed to The Huffington Post. She was 80. “Today, beloved icon, Mary Tyler Moore, passed away at the age of 80 in the company of friends and her loving husband of over 33 years, Dr. S. Robert Levine. A groundbreaking actress, producer, and passionate advocate for the Juvenile Diabetes Research Foundation, Mary will be remembered as a fearless visionary who turned the world on with her smile,” her rep Mara Buxbaum told The Huffington Post in a statement.